Important are speed, flexibility and reliability. That is why "Hogenes Warehousing" has a courier on standby always. Piece of mind for you and/or your company. 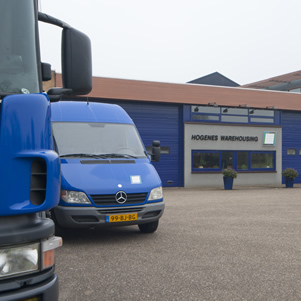 Hogenes Warehousing's courier-fast-service can transport anything in (almost) any product dimension. Efficient and solution focused thinking in cooperation with our client usually provides that right transport at the right time. If needed, contact with our couriers is also a possibility for an update. Hogenes Warehousing: When time is of the essence.